Capella EHR is an ONC 2015 Edition Compliant EHR that has been certified by InfoGard Laboratories in accordance with the applicable certification criteria adopted by the Secretary of Health and Human Services. Clinicians with Capella EHR v6.1 a 2015-edition CEHRT will see an upgrade in areas of interoperability, facilitating data access, patient engagement and patient safety, along with supporting features for programs such as MIPS and Meaningful Use. As a result of this Certification, every user of Capella EHR is considered as a “meaningful user” and is entitled to participate in the advancing care information performance category of the Quality Payment Program. As an integrated EHR + Practice Management, it strives to take you to highest level of satisfaction in terms of revenues earned and time and money saved. Acurus is committed to guiding its clients in their achievement of incentives under the Merit-based Incentive Payment System (MIPS). This EHR is an ONC 2015 Edition Compliant EHR and has been certified by InfoGard Laboratories, an ONC-ACB in accordance with the applicable certification criteria adopted by the secretary of Health and Human Services. This certification does not represent an endorsement by the U.S. Department of Health and Human Services. §170.315(a)(12) Image Results, §170.314(b)(5)(A) Incorporate laboratory tests and values/results - A one-time cost incurred for integrating the certified product version to various lab interfaces based on client requirements. §170.315(b)(3) Electronic Prescribing - A one-time cost integrating the certified product version to the third party E-Prescription service provider. §170.315(e)(3) Secure Electronic Messaging- Cost per month for implementing HIPAA compliant third party mailing service to the certified product version. §170.315(c)(3) Clinical Quality Measures – A possible one-time cost for transmitting QRDA files to participate in any payer quality programs. §170.314(a)(14) Patient List creation- Cost incurred for sending patient reminders through patient's preferred mode of communication. §170.315(b)(1) Transitions of care – receive, display and incorporate transition of care/referral summaries, §170.315(b)(2) Transitions of care – create and transmit transition of care/referral summaries – Cost incurred per provider for connecting with multiple Certified EHR versions through HISPs by registering for a direct address. §170.315(g)(7-9) Application Access - Cost incurred per provider for enabling application access to respond to queries from external parties, according to published documentation for this purpose. There are no known technical limitations related to the certified product that would limit the user’s ability to use any of the capabilities that the technology is certified. HL7® FHIR® is an open standard used to access health information over the internet. This protocol allows for simple, HIPAA-compliant, access to health information by patients, caregivers, and health care providers. The Capella API Services makes it easy for health data holders make FHIR resources available to users they authorize. 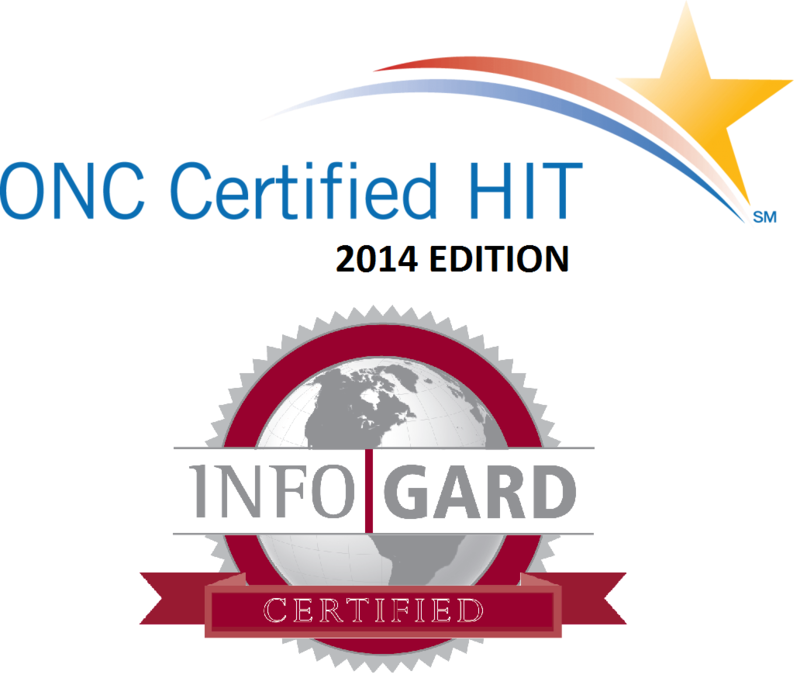 Infogard Laboratories, Inc has certified that the Capella EHR Version 5.4 meets the criteria identified in 45 CFR 170 Subpart C of the ONC Standards and Certification Criteria Final rule. This certification does not represent an endorsement by the U.S. Department of Health and Human Services or guarantee the receipt of incentive payments. As a result of this Certification, every user of Capella EHR is considered as a “meaningful user” and will be eligible for receiving the meaningful use incentives. Capella EHR does not stop there. As an integrated EHR + Practice Management, it strives to take you to highest level of satisfaction in terms of revenues earned and time and money saved. Acurus is committed to guiding its clients in their achievement of Meaningful Use standards and helping them to achieve the Stimulus incentives. This Complete EHR is 2014 Edition compliant and has been certified by Infogard Laboratories, an ONC-ACB in accordance with the applicable certification criteria adopted by the secretary of Health and Human Services. This certification does not represent an endorsement by the U.S. Department of Health and Human Services. §170.314(a)(12) Image Results, §170.314(b)(5)(A) Incorporate laboratory tests and values/results - A one-time cost incurred for integrating the certified product version to various lab interfaces based on client requirements. §170.314(b)(3) Electronic Prescribing - A one-time cost integrating the certified product version to the third party E-Prescription service provider. §170.314(b)(1) Transitions of care – receive, display and incorporate transition of care/referral summaries, §170.314(b)(2) Transitions of care – create and transmit transition of care/referral summaries – Cost incurred per provider for connecting with multiple Certified EHR versions through HISPs by registering for a direct address.